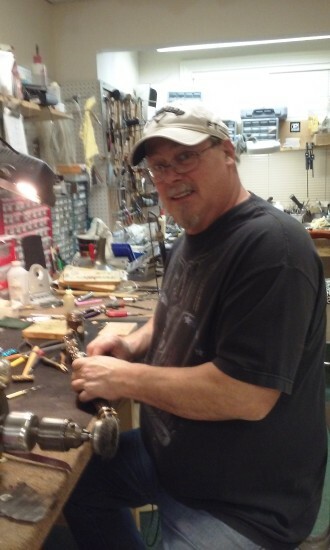 Bring your Instrument in to our repair tech, John Lupton, for a free quote today! With over 20 years of experience, John will get the repair done right, the first time. Minor adjustments and regulation, Pad & Cork Replacement, Complete Repads, Complete Overhauls, Crack Repair. All work is guaranteed. Cleaning & Flush-out of all horns, Dent Removal, Slide & Piston Repair, Soldering, Complete Overhauls with Re-lacquering. Head Replacement, Tension Adjustment, Stand Repair, bring it by and we’ll get it working for you. All our repairs are in-house, which means we do the work in the store. We also have free estimates. Our repair technicians have expertise in restoring antique & vintage instruments also. We invite your inquiries via email or phone, however, we are unable to give repair estimates without seeing the instrument. Free estimates anytime!